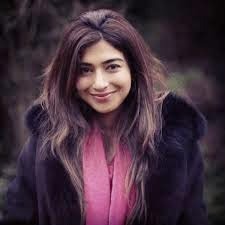 Shiza Shahid, a social activist and entrepreneur of Pakistani origin and co-founder and global ambassador of the Malala Fund, is the fall 2014 presenter at President’s Distinguished Speaker Series at Bridgewater State University. Her talk will be Wednesday, Nov. 19, at 7 p.m. in Boyden Hall’s Horace Mann Auditorium. The Malala fund represents 2014 Nobel Peace Prize recipient Malala Yousafzai, the young Pakistani activist who was shot by the Taliban for her campaign for girls’ education. A 2011 graduate of Stanford University, Shahid was previously a business analyst at McKinsey & Co. in the Middle East. In a world where adolescent girls are denied a formal education, she leads the Malala Fund in its mission to empower girls to raise their voices and demand change. The Malala Fund’s solutions are grounded in inspired innovation: girl-centric approaches to education that support the fund’s goal of creating a world where every girl reaches her true potential. The event is free and open to the public but reservations are required. Admission is on a first-come basis. Call 508.531.6123 to make a reservation or visit bsuform.wufoo.com/forms/rsvp/.